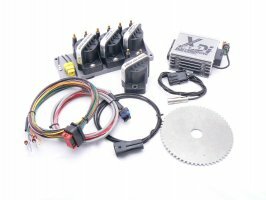 Order coils with an ECU for special pricing. 911 COP coil kit. Includes a set of six 4 wire smart coils, mounting brackets, coil connectors and instructions. Use the Electromotive tach adapter for high voltage tachometers. For Porsche this is 1977 and earlier.